Welcome to Iowa Tornado Shelters! Underground Tornado & Storm Safety Solutions! The state of Iowa has seen its fair share of tornado devestation and destruction over the last few years. From the 2008 Parkersburg, Iowa destruction that went viral all across the internet and social media to the recent destruction in 2013 from small pop up storms and tornadoes. Many Iowa residents are looking for a safe place for refuge from the inclement weather and storms. As many all across the United States have as witnessed over the past few years, tornado season continues to get bigger and stronger each season. With the recent storms and destruction all across the US, this is why thousands of families have selected the Granger ISS Underground Tornado Shelter as their families tornado shelter solution. Look at the statistics of Iowa tornadoes over the last few years and see why families are making the investment for the addition of the Granger ISS Tornado Shelter to their families safety plan. Tornadoes continue to plague communities all across Iowa. Ranging from Des Moines, Cedar Rapids, Davenport and Sioux City- all residents of Iowa are at risk of an inclement weather or tornado disaster situation. Watch in the video clip below, as an elated Granger ISS Tornado Shelter customer tells the national television show "The List" why she purchased a Granger ISS Tornado Shelter. 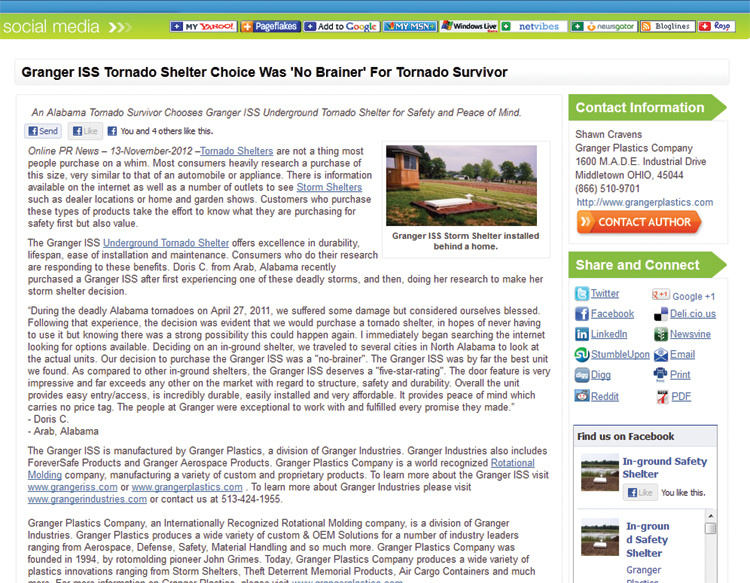 Tornado Survivor: Granger ISS Shelter was a "No Brainer"
Read the news release below as an Alabama tornado survivor exclaims that her choice for a Granger ISS Tornado Shelter was a "No Brainer". 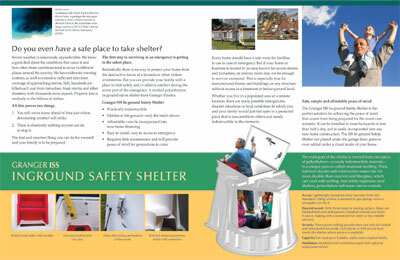 Granger's underground tornado shelter offers industry leading features found on no other shelter. The rotationally molded storm shelter features durable double wall polyethylene construction. See why the Granger ISS is America's leading tornado shelter solution! Offering industry leading protection with unsurpassed durability, a lifetime warranty and industry leading lifespan, the Granger ISS Tornado shelter is the only underground safety sanctuary your family will ever need! 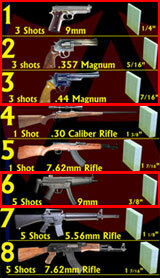 Read more about the units features here. Industry leading door offering 5 layers of protection! Battery operated LED lighting system included! Lifetime warranty against cracking, leaking and floating! 3 point locking system for extra security! The World leading underground shelter solution is manufactured by Granger Plastics Company, an internationally recognized leading Plastics Company & Rotational Molding solutions expert, now offers the Granger ISS Tornado Shelter door with an UL listed Bullet resistant upgrade option!. Turn your underground storm shelter into a full time safe room offering your family complete protection! The Granger ISS Tornado Shelter features one-half inch thick, double wall, foam filled contstruction, being the only unit offering triple layer protection inside of the units body. The patented shelter unit also features a multi layer composite door that exceeds FEMA 320 & FEMA 361 standards, which is possibly the only tornado shelter in existence to offer this level of protection and features. Copyright (c) 2013-2015 tornadosheltersiowa.com. All rights reserved. | Design by Granger Industries, Inc..